This is the poster for kick off speech. Thought leadership is excited to see Asian Americans finally getting noticed, making a mark, and coming into our own with influence and leadership. 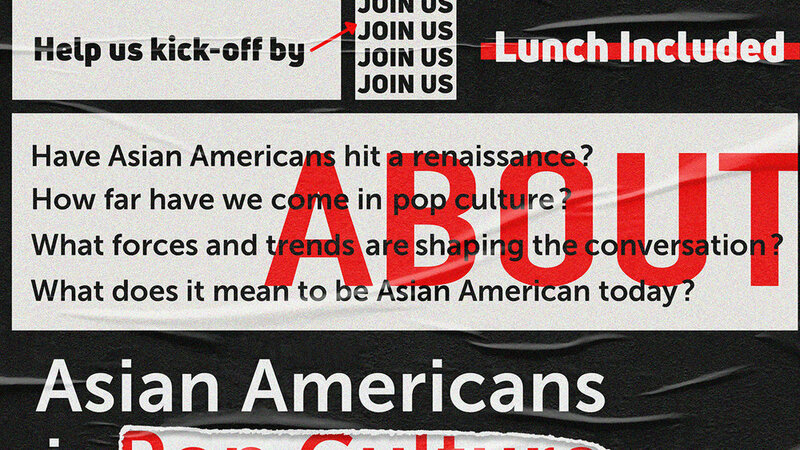 Within the Asian American segment, they feel both our diversity and similarities, and they are passionate about creating meaningful dialogue about what it means to be Asian American today. Boring Lab is a place to pushes my idea to a new level I haven't seen before.